IEEE Sensors Council UK and Ireland Chapter was founded in 2015 to focus IEEE’s widely scattered sensor activities, via lectures, webinars, journals and yearly conferences. The Chapter Chapter is now looking for a new Chair. To apply for this position, please indicate your interest by sending CV to Ravinder Dahiya (Ravinder.Dahiya@glasgow.ac.uk) and Sinead O’Keefe (sinead.okeeffe@ul.ie). The closing date for this enquiry is 31st July 2018. 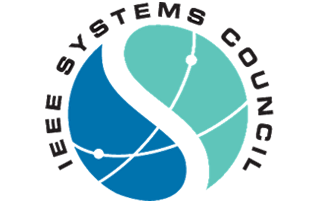 As part of the Systems Council Chapter's development, a number of Special Interest Groups (SIGs) have been formed under the Chapter to focus on trans-disciplinary areas of relevance to systems thinking, systems analysis, systems engineering and systems emergence that fall within the scope of the Systems Council. The IEEE Young Professionals Halloween Party was held during the IEEE SENSORS Conference on 30th Oct 2017 in Glasgow, UK. IEEE Young Professionals at the IEEE Sensors Council brings together over 100 young professionals in the fields of sensors, building bridges between young researchers and fellows.